Lowe, Jet. 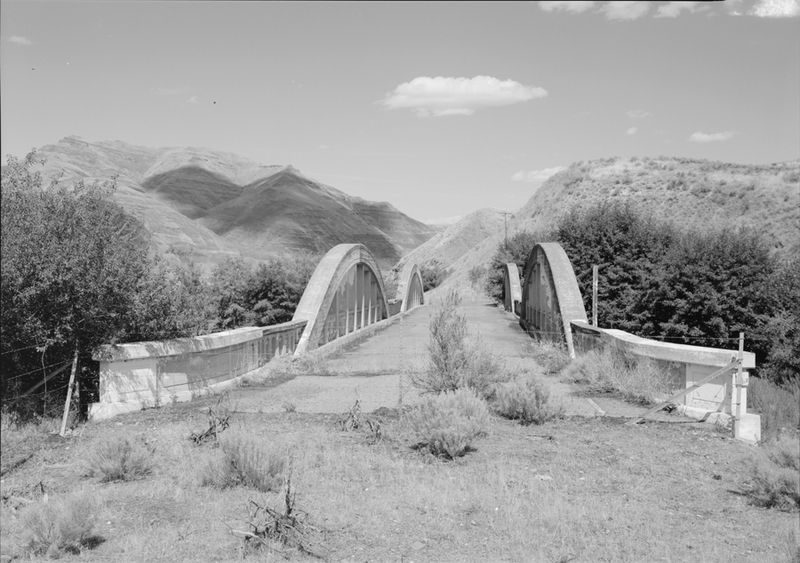 “WESTERN PORTAL LOOKING NE BY 20 DEGREES – Indian Timothy Memorial Bridge, U.S. Route 12 spanning Alpowa Creek, Silcott, Asotin County, WA.” 1993. Library of Congress Prints and Photographs Division. The caption lists the date of creation of this photo to be 1993. Do you think the bridge was built around the same time as the photo was taken? Why or why not? Look carefully at details in the photograph and the bibliographic record. What purpose do you think this bridge serves? Can you find this bridge on a map? What else can you find out about this bridge?